SIS Covers Harbour Sand Duvet Set, Size: King. Includes duvet, 1-2 pillow shams, and 2 pillows. 100% polyester burlap with polyester fill. Solid sand brown with burlap texture. Available in several size options. Machine washable. About SIS EnterprisesFounded in 1987, SIS Enterprises got its start when sisters Shari Hammer and Cyndi Ritger realized the budding futon industry needed some color - at the time, nearly all futon covers came in simple, neutral shades. The sisters began sewing vibrant, lively futon covers in Cyndi's basement, and a new business was born. Today, SIS Enterprises has 76,000 square feet of warehouse space and stocks 500,000 yards of Fabric. Shari's husband serves as CFO, and the company has expanded its love of color into new product lines like daybed covers, bedding, window treatments, and more. Size: King. SIS Covers Pearl City Duvet Set, Size: California King. Includes duvet, 1-2 Pillow shams, and 2 pillows. 55% cotton, 45% polyester with polyester fill. Shimmering champagne dots on flat champagne. Duvet reverses to solid flat champagne. Machine washable. About SIS EnterprisesFounded in 1987, SIS Enterprises got its start when sisters Shari Hammer and Cyndi Ritger realized the budding futon industry needed some color - at the time, nearly all futon covers came in simple, neutral shades. The sisters began sewing vibrant, lively futon covers in Cyndi's basement, and a new business was born. Today, SIS Enterprises has 76,000 square feet of warehouse space and stocks 500,000 yards of fabric. Shari's husband serves as CFO, and the company has expanded its love of color into new product lines like daybed covers, bedding, window treatments, and more. Size: California King. SIS Covers Harbour Shell Duvet Set, Size: King. Includes duvet, 1-2 pillow shams, and 2 pillows. 100% polyester burlap with polyester fill. Solid white with burlap texture. Available in several size options. Machine washable. About SIS EnterprisesFounded in 1987, SIS Enterprises got its start when sisters Shari Hammer and Cyndi Ritger realized the budding futon industry needed some color - at the time, nearly all futon covers came in simple, neutral shades. The sisters began sewing vibrant, lively futon covers in Cyndi's basement, and a new business was born. Today, SIS Enterprises has 76,000 square feet of warehouse space and stocks 500,000 yards of Fabric. Shari's husband serves as CFO, and the company has expanded its love of color into new product lines like daybed covers, bedding, window treatments, and more. Size: King. 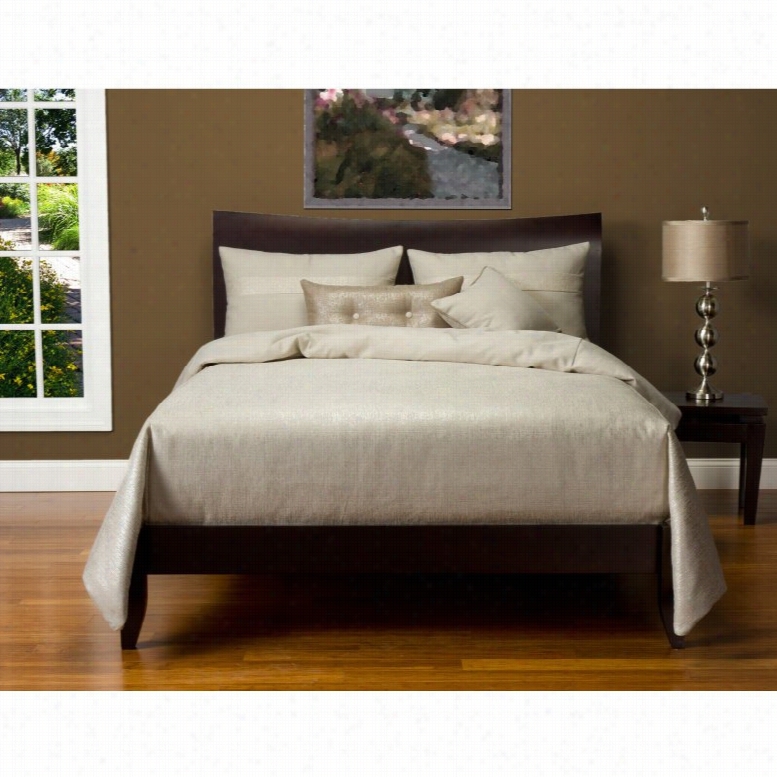 SIS Covers Edgewater Sand Duvet Set, Size: California King. Includes duvet, 1-2 pillow shams, and 2 pillows. 70% polyester, 30% cotton with polyester fill. Interlocking geometric in brown, gray, and white. Duvet reverses to coordinating design. Dry clean only. About SIS EnterprisesFounded in 1987, SIS Enterprises got its start when sisters Shari Hammer and Cyndi Ritger realized the budding futon industry needed some color - at the time, nearly all futon covers came in simple, neutral shades. The sisters began sewing vibrant, lively futon covers in Cyndi's basement, and a new business was born. Today, SIS Enterprises has 76,000 square feet of warehouse space and stocks 500,000 yards of Fabric. Shari's husband serves as CFO, and the company has expanded its love of color into new product lines like daybed covers, bedding, window treatments, and more. Size: California King. SIS Covers Sparkly Pearl Duvet Set, Size: California King. Includes duvet, 1-2 pillow shams, and 2 pillows. 100% polyester linen with polyester fill. Shimmery pearl white with metallic threads. Duvet reverses to solid pearl white. Machine washable. About SIS EnterprisesFounded in 1987, SIS Enterprises got its start when sisters Shari Hammer and Cyndi Ritger realized the budding futon industry needed some color - at the time, nearly all futon covers came in simple, neutral shades. The sisters began sewing vibrant, lively futon covers in Cyndi's basement, and a new business was born. Today, SIS Enterprises has 76,000 square feet of warehouse space and stocks 500,000 yards of Fabric. Shari's husband serves as CFO, and the company has expanded its love of color into new product lines like daybed covers, bedding, window treatments, and more. Size: California King. SIS Covers Sparkly Herb Duvet Set, Size: California King. Includes duvet, 1-2 pillow shams, and 2 pillows. 100% Polyester linen with polyester fill. Shimmery herb green with metallic threads. Duvet reverses to solid herb green. Machine washable. About SIS EnterprisesFounded in 1987, SIS Enterprises got its start when sisters Shari Hammer and Cyndi Ritger realized the budding futon industry needed some color - at the time, nearly all futon covers came in simple, neutral shades. The sisters began sewing vibrant, lively futon covers in Cyndi's basement, and a new business was born. Today, SIS Enterprises has 76,000 square feet of warehouse space and stocks 500,000 yards of fabric. Shari's husband serves as CFO, and the company has expanded its love of color into new product lines like daybed covers, bedding, window treatments, and more. Size: California King. SIS Covers Crustacean Sand Duvet Set, Size: Queen. Includes duvet, 1-2 pillow shams, and 2 pillows. 80% Polyester, 20% cotton with polyester fill. Lobster pattern in sand, black, and white. Duvet reverses to coordinating design. Dry clean only. About SIS EnterprisesFounded in 1987, SIS Enterprises got its start when sisters Shari Hammer and Cyndi Ritger realized the budding futon industry needed some color - at the time, nearly all futon covers came in simple, neutral shades. The sisters began sewing vibrant, lively futon covers in Cyndi's basement, and a new business was born. Today, SIS Enterprises has 76,000 square feet of warehouse space and stocks 500,000 yards of fabric. Shari's husband serves as CFO, and the company has expanded its love of color into new product lines like daybed covers, bedding, window treatments, and more. Size: Queen. 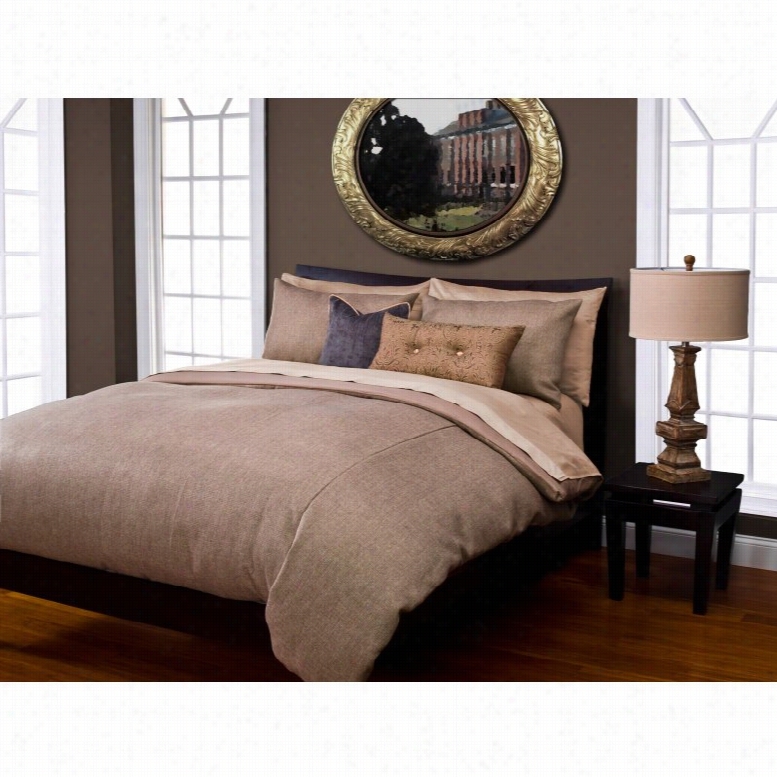 SIS Covers Sumatra Graphite Duvet Set, Size: Full. Includes duvet, 1-2 Pillow shams, and 2 pillows. 55% linen, 45% cotton with polyester fill. Moorish design in black, tan, and cream. Available in several size options. Dry clean only. About SIS EnterprisesFounded in 1987, SIS Enterprises got its start when sisters Shari Hammer and Cyndi Ritger realized the budding futon industry needed some color - at the time, nearly all futon covers came in simple, neutral shades. The sisters began sewing vibrant, lively futon covers in Cyndi's basement, and a new business was born. Today, SIS Enterprises has 76,000 square feet of warehouse space and stocks 500,000 yards of fabric. Shari's husband serves as CFO, and the company has expanded its love of color into new product lines like daybed covers, bedding, window treatments, and more. Size: Full. SIS Covers Birds with Blooms Duvet Set, Size: Queen. Includes duvet, 1-2 pillow shams, and 2 pillows. 40% polyester and 60% rayon with polyester fill. Birds with blooms in brown, red, and orange. Reversible duvet. Dry clean only. About SIS EnterprisesFounded in 1987, SIS Enterprises got its start when sisters Shari Hammer and Cyndi Ritger realized the budding futon industry needed some color - at the time, nearly all futon Covers came in simple, neutral shades. The sisters began sewing vibrant, lively futon covers in Cyndi's basement, and a new business was born. Today, SIS Enterprises has 76,000 square feet of warehouse space and stocks 500,000 yards of fabric. Shari's husband serves as CFO, and the company has expanded its love of color into new product lines like daybed covers, bedding, window treatments, and more. Size: Queen. SIS Covers First Mate Sand Duvet Set, Size: Full. Includes duvet, 1-2 pillow shams, and 2 pillows. 80% polyester, 20% Cotton with polyester fill. Nautical theme in brown, white, and red. Duvet reverses to brown and white pinstripe. Dry clean only. About SIS EnterprisesFounded in 1987, SIS Enterprises got its start when sisters Shari Hammer and Cyndi Ritger realized the budding futon industry needed some color - at the time, nearly all futon covers came in simple, neutral shades. The sisters began sewing vibrant, lively futon covers in Cyndi's basement, and a new business was born. Today, SIS Enterprises has 76,000 square feet of warehouse space and stocks 500,000 yards of fabric. Shari's husband serves as CFO, and the company has expanded its love of color into new product lines like daybed covers, bedding, window treatments, and more. Size: Full.